Detroit Tigers vs. Cleveland Indians - MLB Feedback!! 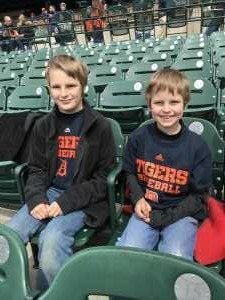 Thank you 1st Tix and the Donors for the Detroit Tigers vs Cleveland Indians tickets. The game and seats were great. Even though it was a little chilly we all had a great time. 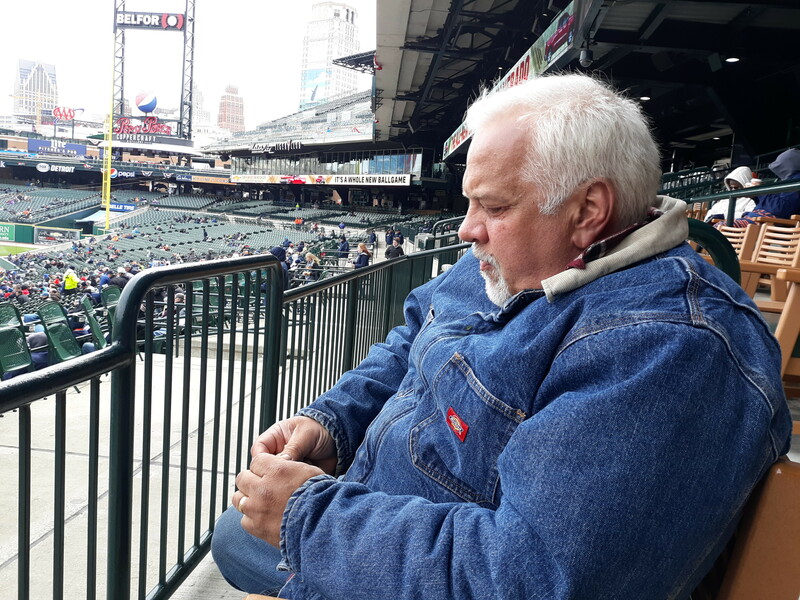 I would like to express my sincere thanks to the donors of the tickets i received for the Detroit Tigers. 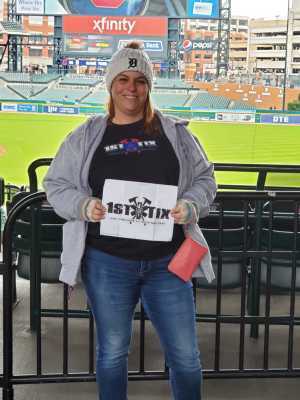 We were moved from the tickets donated because of the weather, making the event even so much better. The staff at Commerica were all accommodating and very friendly and professional. 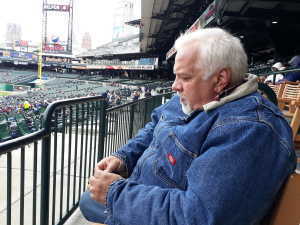 It was the firts time i was able to attend a game at Commerica and what a great venue. We were able to walk the venue and I was just in awe of all the fabulous venues and entertainment available. Your generous donation reaffirms my commitment to help others because donors like you are also committed to giving back and showing appreciation for those eho serve. Thank you for a great day. 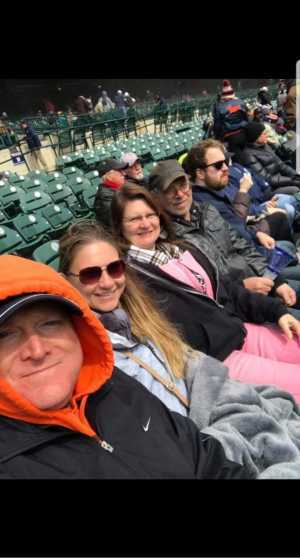 I had a GREAT time at the Detroit Tigers game yesterday! The weather was nice and it was such a fun way to spend a day off. 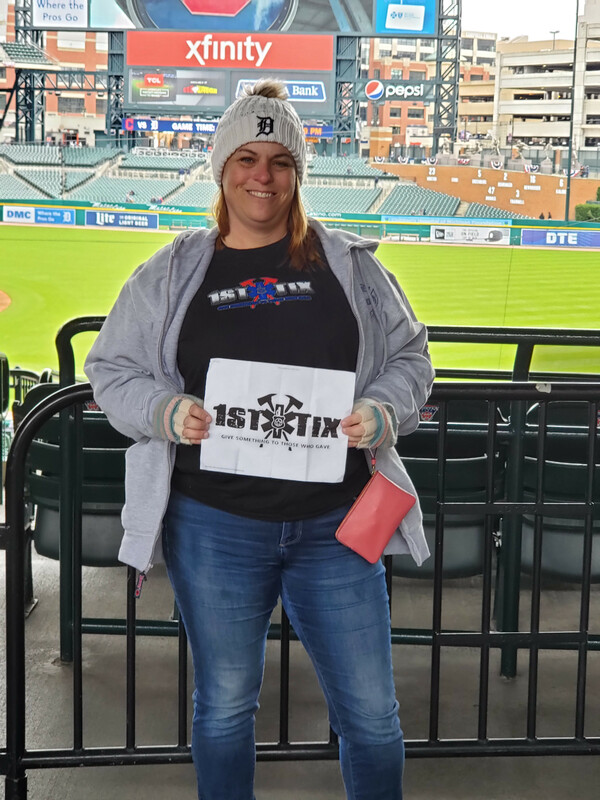 Thank you 1st tix! Thank you so much for the tickets. We had a great time.